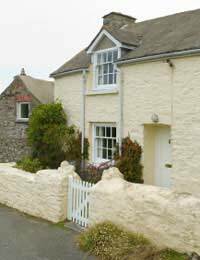 Home > Accommodation Options > Questionnaire: Can I Purchase a Holiday Home in Retirement? Holiday homes have surged in popularity amongst those who are looking for an exotic retreat or simply a place to go and relax. Unfortunately though when you reach retirement you will need to be financially secure and have some capital to invest if you want to buy a holiday home. There are a number of ways you can buy a holiday home, either on a buy-to-let basis, jointly or on your own, whichever way you choose though you may find you need deep pockets to fund your holiday home dream. These questions should help you decide whether a holiday home is right for you. 1)	How Big Is Your Deposit? 2)	What Will You Be Using the Property For? 3)	Do You Have A Mortgage On Your First Home? 4)	Do You Have other Debts? 5)	What Will Be Your Retirement Income? 6)	What Is Your Age? Buying a holiday home in retirement is a major financial commitment and you should not enter into it lightly. From your answers its sounds like you may not have the money required. Unless you plan to win the lottery in your retirement, anything below 15% of the property’s value will not be enough as a deposit. There are a number of countries, such as France that will allow you to borrow up to 100% of the property’s value, but they will restrict this for retirees. If you still have a mortgage outstanding on your first home, it is hard to see how you will be able to afford both a first and second mortgage. If you will be living off just your basic state pension this will not be sufficient to meet all of your payments, especially if you are over 75 years old, as this limits your options. If you are still keen on the idea of a holiday home you may want to consider renting out a property when you go away, instead of staying in a hotel, as this will give the same experience but at half the price. You sound like you do have some equity to put into the property, but you may have to do some planning before you apply for a holiday home in your retirement, such as paying off any outstanding debts you have, including your mortgage. If you have a valuable or large house as your first home you may want to consider sacrificing some of this in exchange for a holiday home. Selling your current home to fund another is a good way to improve the health of your finances and maintain two homes. A mortgage lender will want to know how much your income will be in retirement, they will look at your age and asses how long it will take you to pay off the mortgage. If you plan to rent out the property, you may need a buy-to-let mortgage and this could increase your costs significantly. From your answers it seems the only risk you pose is whether you will be able to afford the mortgage. If you have been saving over the years and have a hefty savings account or a large pension, this will work in your favour. A lender will normally only lend to you up until you reach 75. If you do have a large savings pot you may want to dip into it, as the more you can put down on your second home the less your monthly payments will be. Holiday homes are increasingly popular amongst the retired community. They offer a permanent holiday getaway and a place where all the family can come together and have fun. But you will need to think about who is going to run the property in your absence and how you will pay for the mortgage.